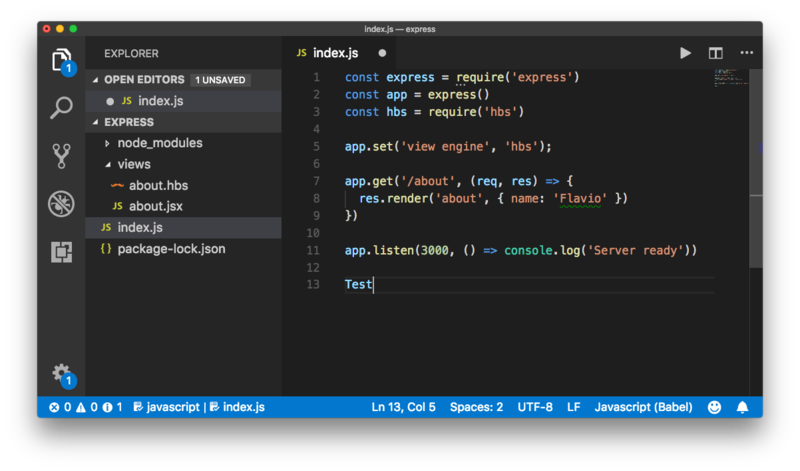 Should I switch to VS Code? And why? Since the beginning, editors are a strange beast. Some people defend their editor choice strenuously. In the Unix world you have those Emacs vs vi “wars”, and I kind of imagine why so much time is spend debating the advantages of one versus another. I used tons of editors and IDEs in the past few years. I can remember TextMate, TextWrangler, Espresso, BBEdit, XCode, Coda, Brackets, Sublime Text, Atom, vim, PHPStorm. 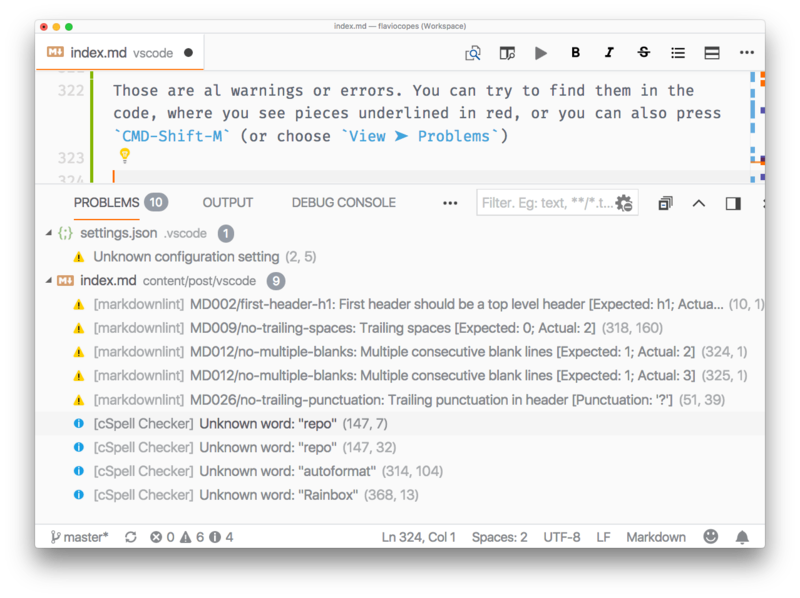 The difference between an IDE and an editor is mostly in the feature set, and complexity. I largely prefer an editor over an IDE, as it’s faster and gets less in the way. 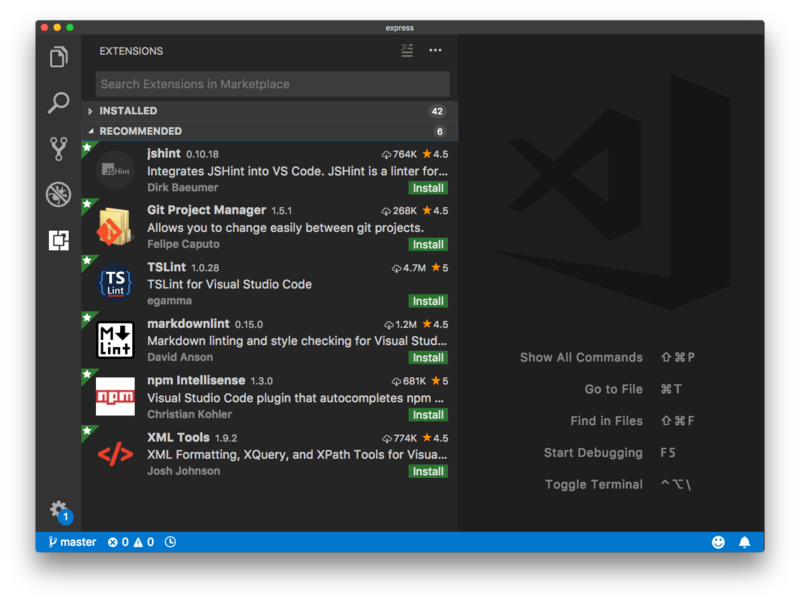 In the last 12 months I’ve been using VS Code, the Open Source editor from Microsoft, and it’s quickly become my favorite editor ever. If you’re looking for suggestions for whether to use it or not, let me say yes, you should switch to it from whatever other editor you are using now. This editor builds on top of decades of editor experience from Microsoft. 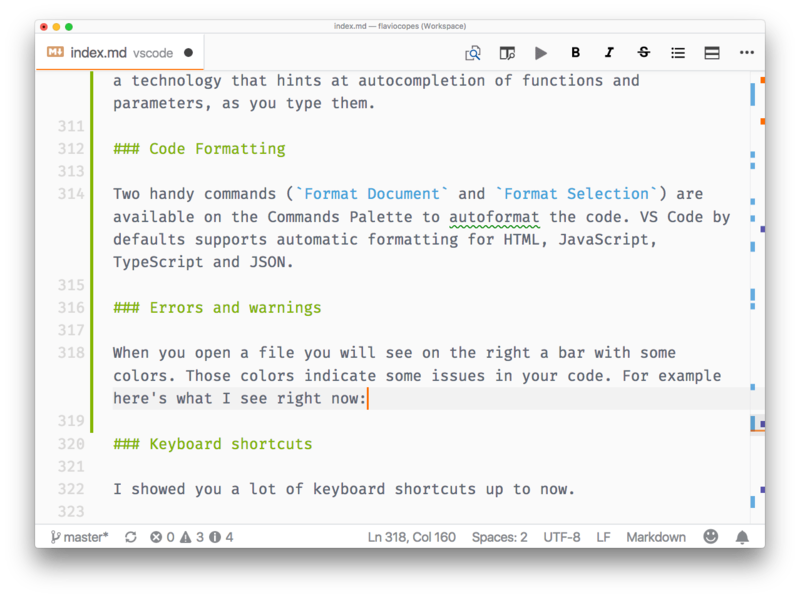 The code of the editor is completely Open Source, and there’s no payment required to use it. 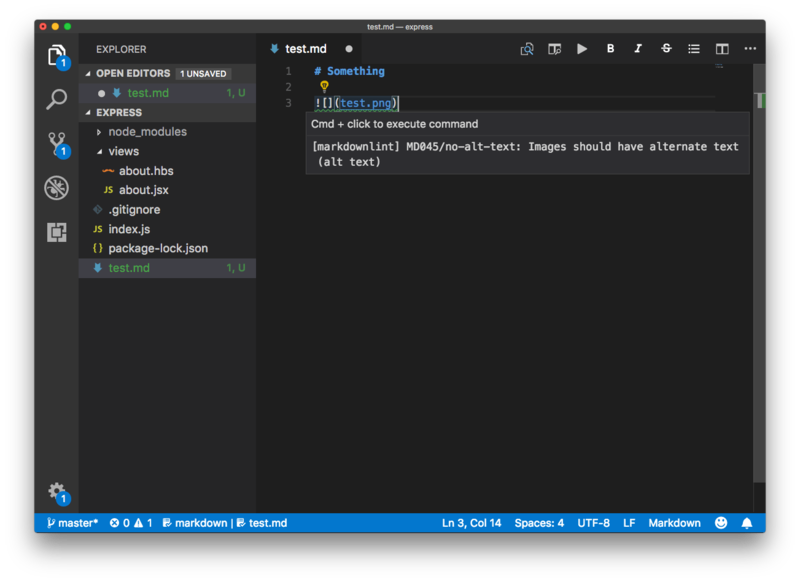 It’s fast, easily the fastest editor I’ve used after Sublime Text. It has won the enthusiasm of the community: there are thousands of extensions, some official, and some made by the community, and it’s winning surveys. Microsoft releases an update every month. 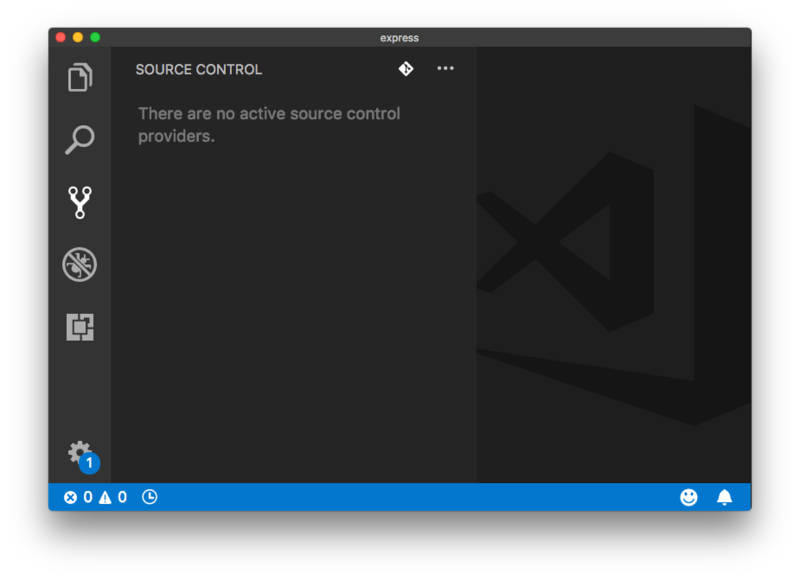 Frequent updates foster innovation and Microsoft is listening to its users, while keeping the platform as stable as possible (I should say I never had an issue with VS Code in 1 year of using it every day almost all day). 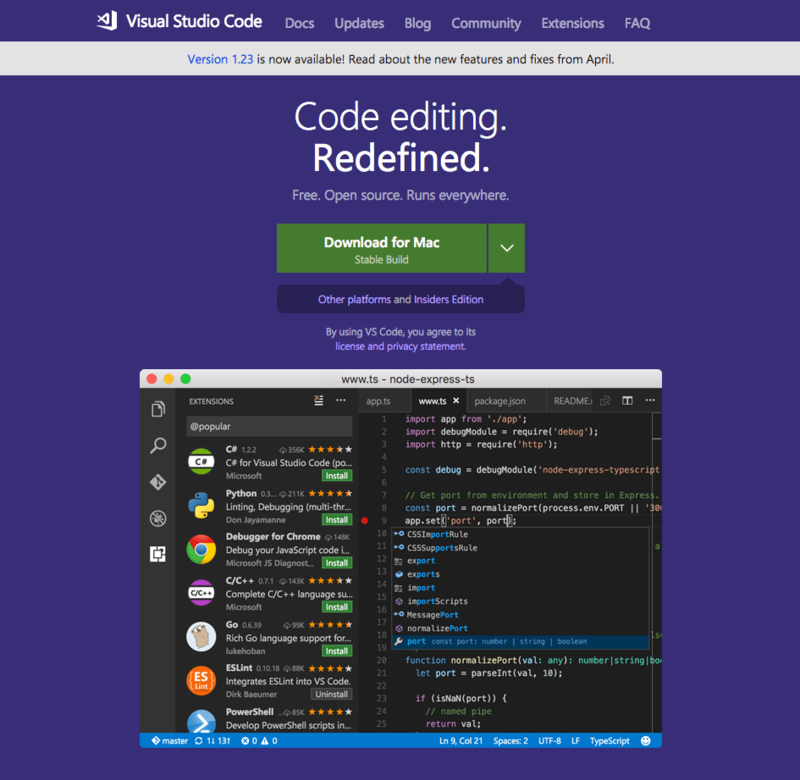 The home page of Visual Studio Code on the internet is https://code.visualstudio.com/. Go to that site to download the latest stable release of the editor. The installation process depends on the platform, and you should be used to it. Let’s start the exploration with the explorer (pun intended). Press the “Open Folder” button in the sidebar, or the Open folder... link in the Welcome page. Both will trigger the file picker view. Choose one folder where you have source code, or even just text files, and open it. On the right, the empty view shows some commands to perform some quick operations, and their keyboard shortcut. You can hide the sidebar that hosts the file using the shortcut CMD+B. Note: I’m using the Mac keyboard shortcuts. Most of the times, on Windows and Linux you just change CMT to CTRL and it works, but not always. Print your keyboard shortcuts reference. You can click the icons to make the search case sensitive, to match whole words (not substrings), and to use a regular expression for the search string. To perform the search, press enter. Clicking the ▷ symbol on the left enables the search and replace tool. The Source Control tab is enabled by clicking the third icon in the toolbar. 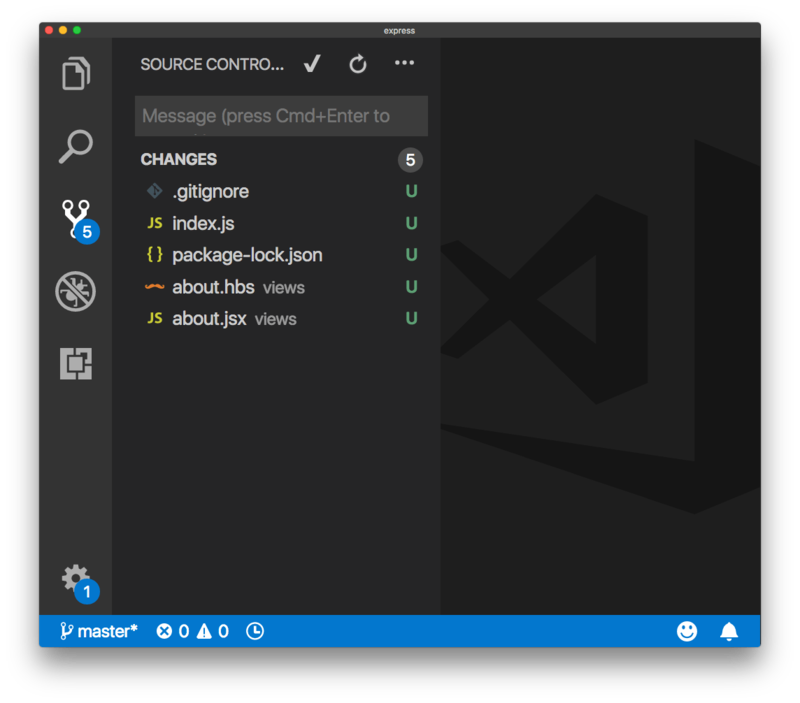 VS Code comes with Git support out of the box. In this case the folder we opened does not have source control initialized. 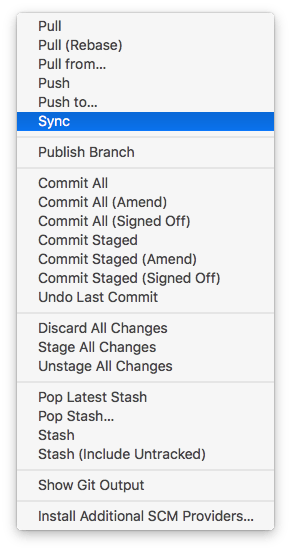 The U beside each file means that it’s been updated since the last commit (since we never did a commit in the first place, all files are updated). 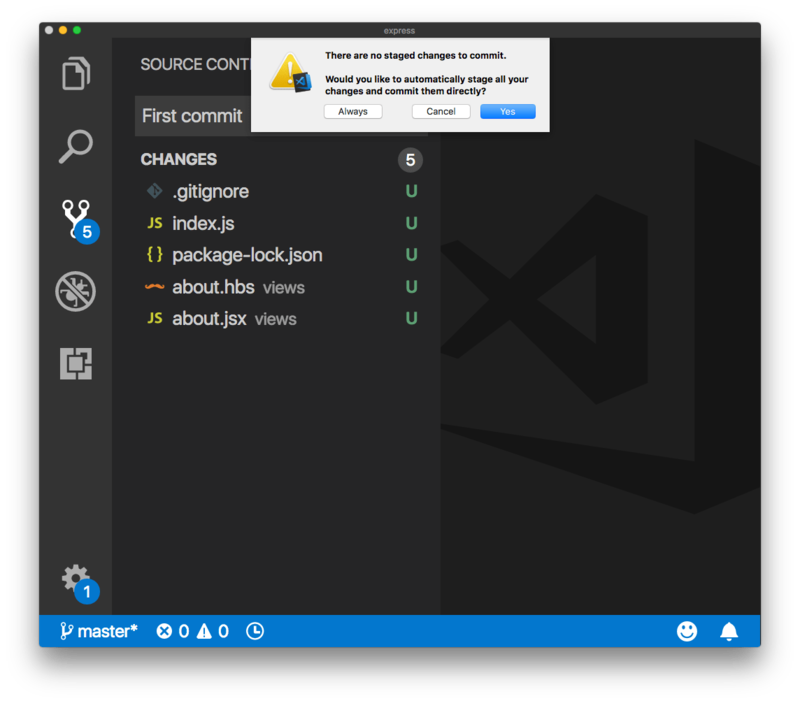 Create the first commit by writing a text message and pressing Cmd-Enter, or clicking the ✔︎ icon on top. I usually set this to automatically stage the changes when I commit them. The fifth icon brings us to extensions. 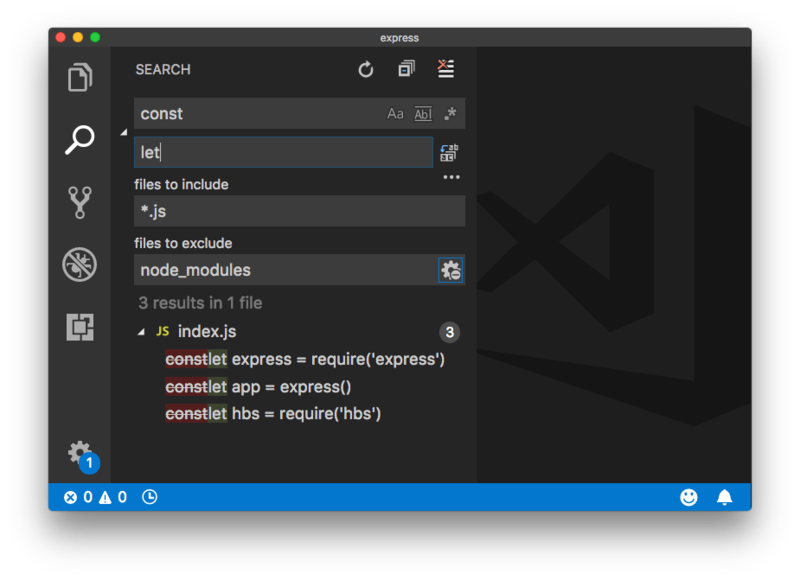 Extensions are one killer feature of VS Code. They can provide so much value that you’ll surely end up using tons of them. I have lots of extensions installed. 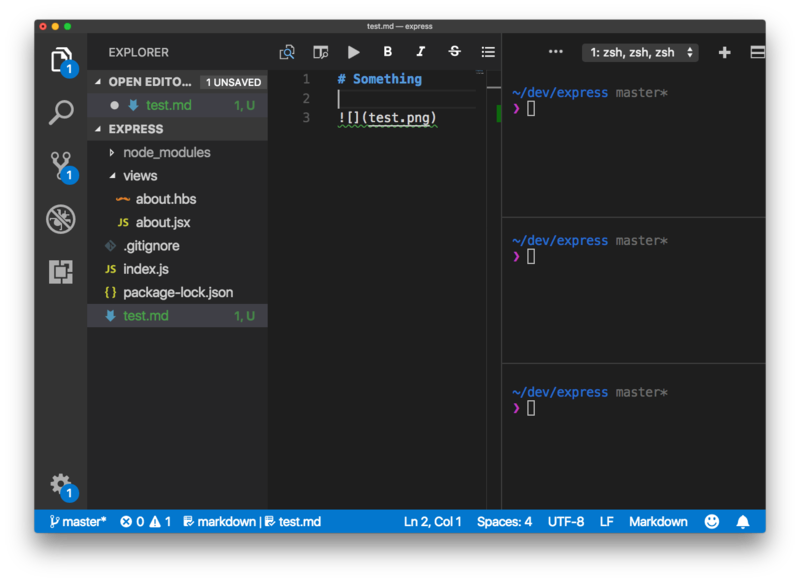 One thing to remember is that every extension you install is going to impact (more or less) the performance of your editor. You can disable an extension you install, and enable only when you need it. There is a list of recommended extensions, which include all the most popular tools. 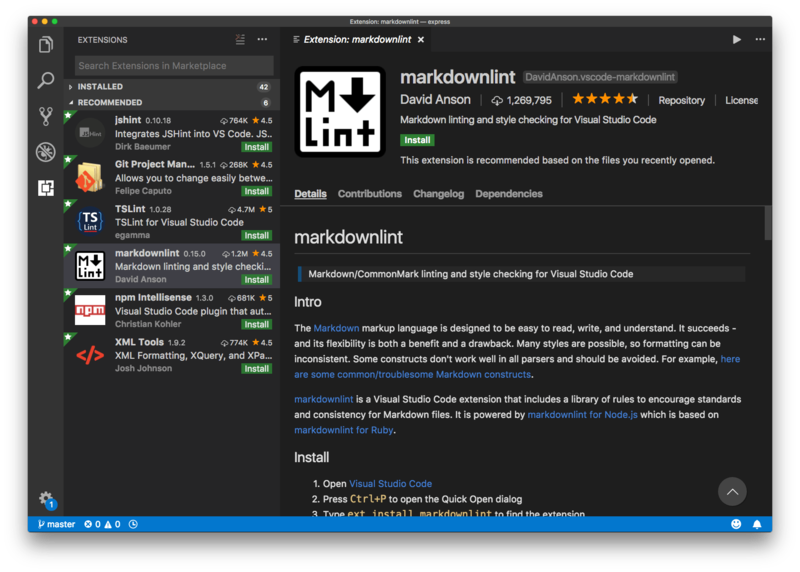 Since I edit lots of markdown files for my blog, VS Code suggests me the markdownlint extension, which provides linting and syntax checking for Markdown files. As an example, let’s install it. First, I inspect the number of views. It’s 1.2M, so many! And the reviews are positive (4.5⁄5). Clicking the extension name opens the details on the right. Pressing the green Install button starts the installation process, which is straightforward. It does everything for you, and you just need to click the “Reload” button to activate it, which basically reboots the editor window. Down below I introduce some popular extensions you don’t want to miss, and the ones I use the most. 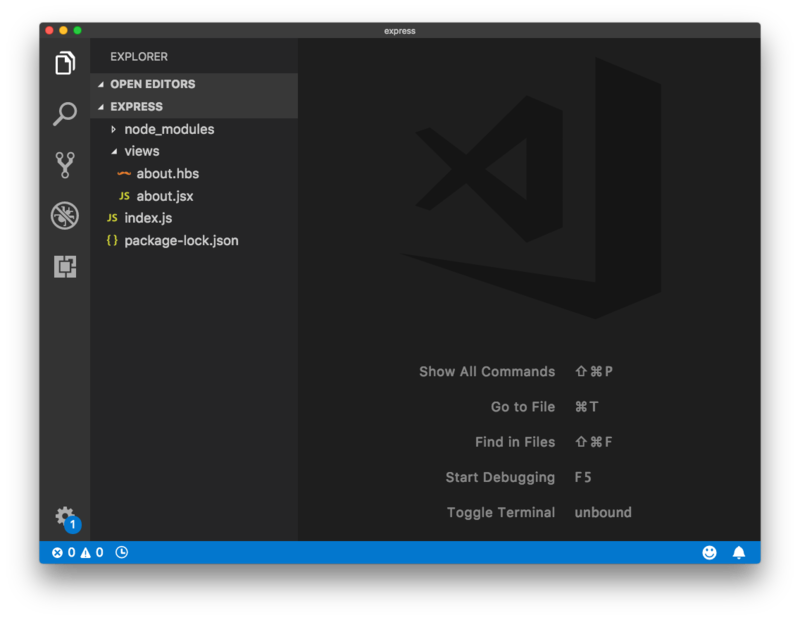 VS Code has an integrated terminal. You can activate it from the menu View ➤ Integrated Terminal, or using CMD+\` and it will open with your default shell. This is very convenient because in modern web development you almost always have some npm or yarn process running in the background. A modal window will appear at the top, offering you various options, depending on which plugins you have installed, and which commands you used last. you can activate any of those by starting typing, and the autocomplete functionality will show you the one you want. 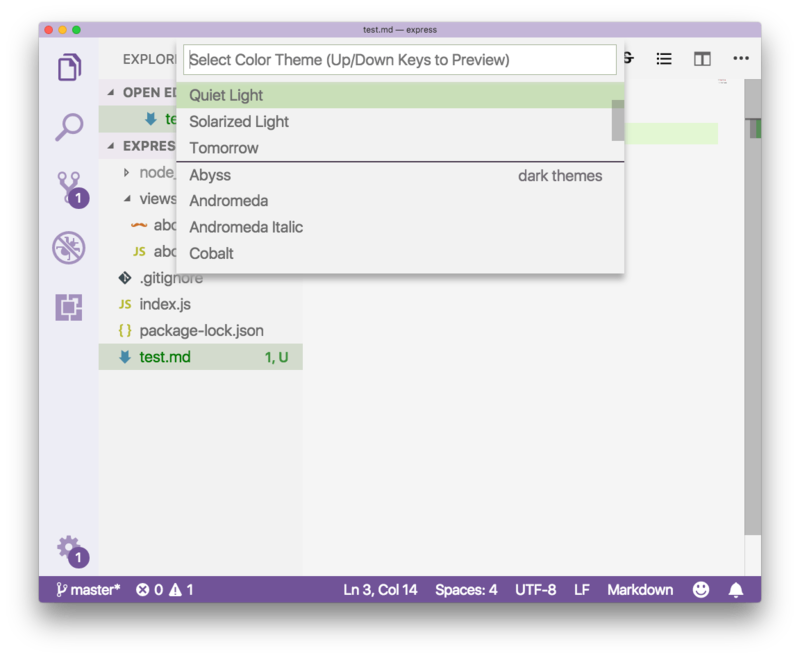 You can switch the color theme used by clicking CMD-k + CMD-t, or by invoking the Preferences: Color Theme command. Themes are just extensions. 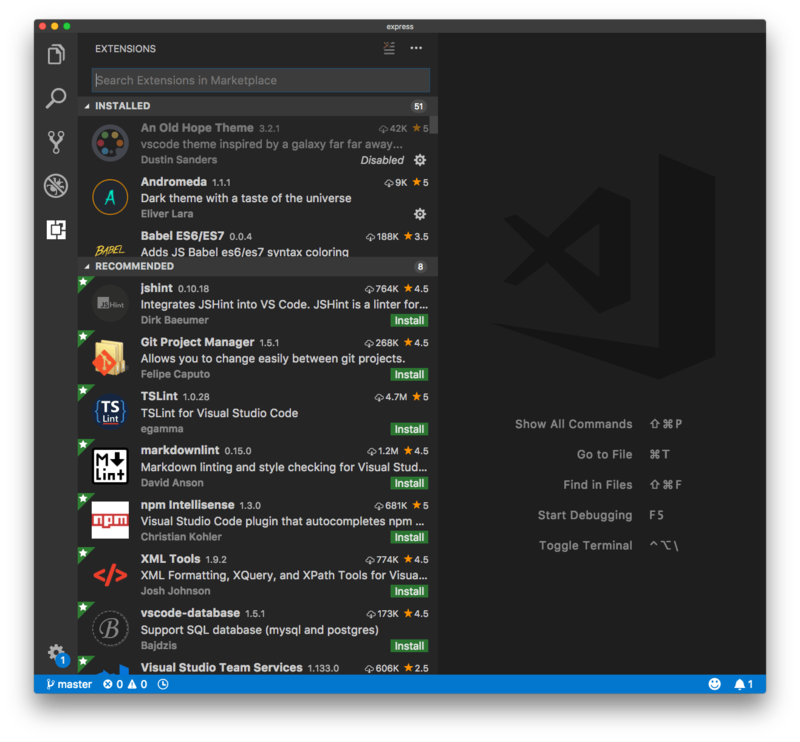 You can install new themes by going to the extensions manager. Probably the best thing for discoverability is to use the marketplace website. My favorite theme is Ayu, which provides a great style for any time of the day, night, morning/evenings and afternoon. Theme is just one customization you can make. The sidebar icons that are assigned to a file are also a big part of a nice user experience. All those customizations we made so far, the theme and the icon theme, are saved to the user preferences. The view shows the default settings on the left, for an easy reference, and the overridden settings on the right. You can see the name of the theme and the icon theme we set up, in workbench.colorTheme and workbench.iconTheme. I zoomed in using CMD-+, and this setting was saved as well to window.zoomLevel, so the next time VS Code starts up, it remembers my choice for zooming. You can decide to apply some setting globally, in User Settings, or relative to a workspace, in Workspace settings. 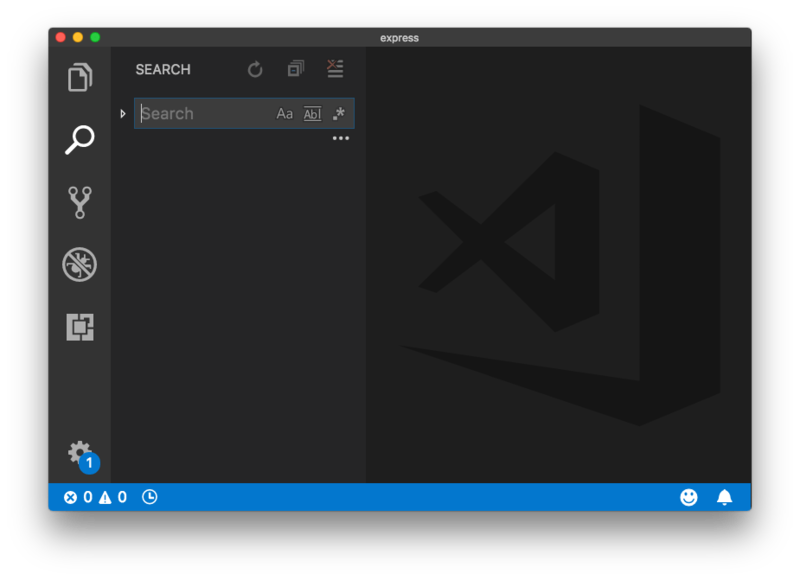 Most of the times those settings are automatically added by extensions or by the VS Code itself, but in some cases you’ll directly edit them in this place. All User settings can be overridden in Workspace settings. They take precedence. They are useful for example when you use a project that has linting rules different from all the other projects you use, and you don’t want to edit your favorite settings just for it. You create a workspace from an existing project by clicking the File ➤ Save Workspace as... menu. The currently opened folder will be enabled as the workspace main folder. 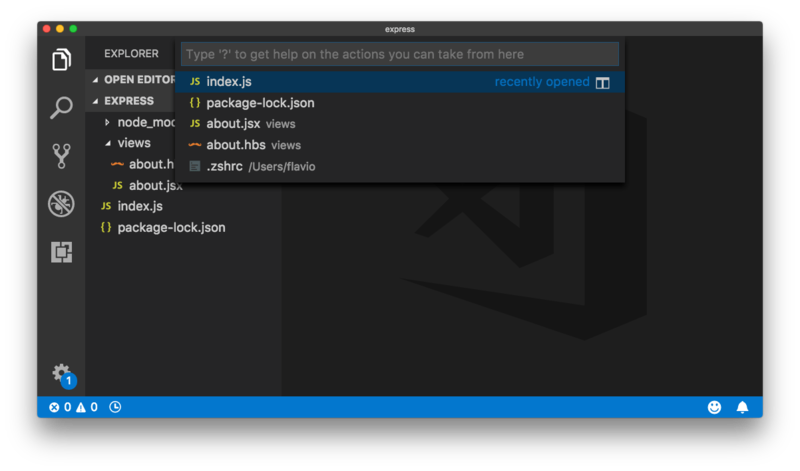 The next time you open VS code, or you switch project, instead of opening a folder, you open a workspace, and that will automatically open the folder containing your code, and it will remember all the settings you set specific to that workspace. 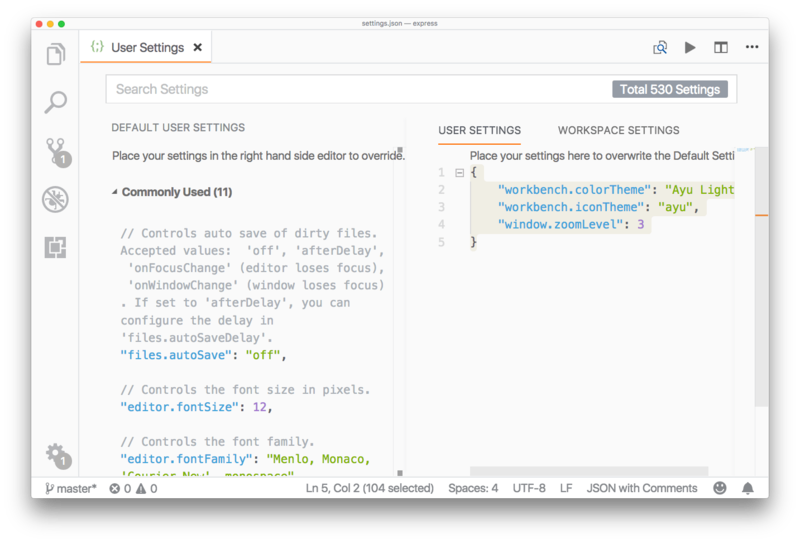 In addition to having workspace-level settings, you can disable extensions for a specific workspace. You can just work with folders until you have a specific reason for wanting a workspace. One good reason is the ability to have multiple, separate root folders. You can use the File ➤ Add Folder to Workspace to add a new root folder, which can be located anywhere in the filesystem, but will be shown along with the other existing folder you had. I showed you a lot of keyboard shortcuts up to now. It’s starting to get complicated to remember them all, but they are a nice productivity aid. I suggest to print the official shortcuts cheat sheet, for Mac, Linux and Windows. If you’re used to keyboard shortcuts from other editors, maybe because you worked with one editor for a long time, you can use a keymap. 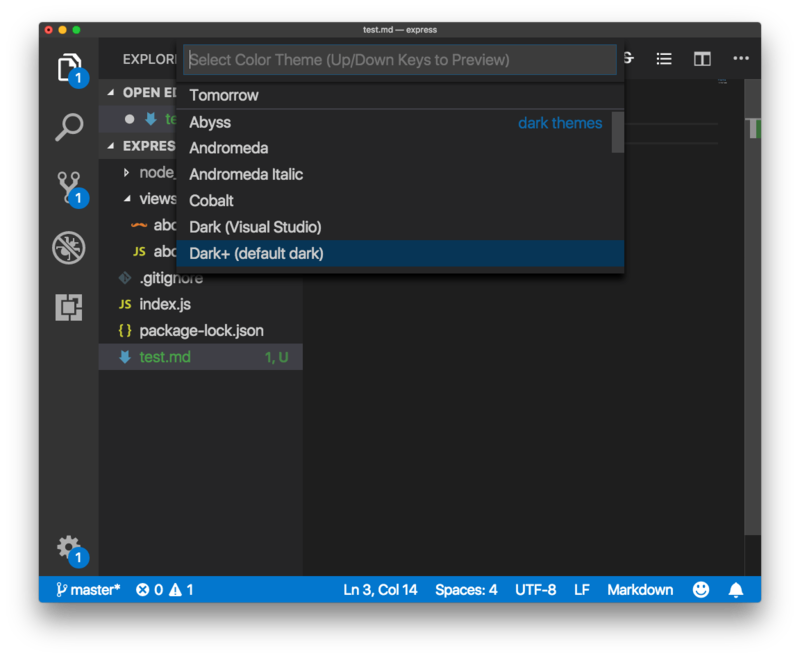 The VS Code team provides keymaps for the most popular editors out of the box: vim, Sublime Text, Atom, IntelliJ, Eclipse and more. They are available as plugins. By opening the Preferences ➤ Keymaps Extensions menu. For every language you might be developing in, there are extensions that provide ready-made snippets for you to use. there are lots of these shortcuts, and they save a lot of time. Not just from typing, but also from looking up the correct syntax. You can also define your own snippets. Click Preferences ➤ User Snippets and follow the instructions to create your own snippets file. CSS Peek lets you see and edit CSS definitions by inspecting the class of an HTML element. Very handy. Code Runner lets you run bits of code that you select in the editor, and much more. Supports lots of languages. Bracket Pair Colorizer handy for visualizing brackets endings in your code. 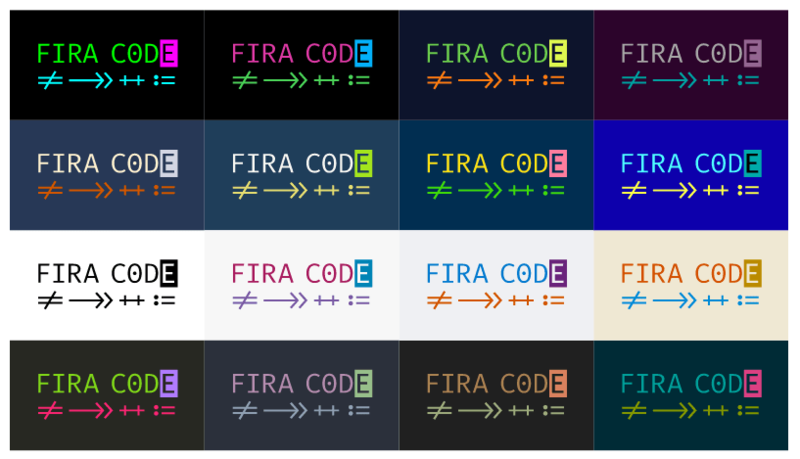 Indent-Rainbow colors the indentation levels of your code. 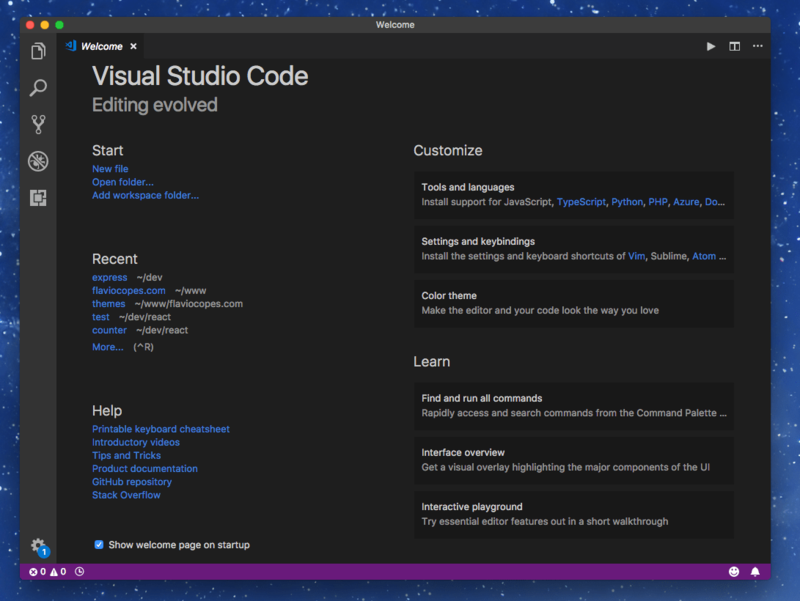 When you install VS Code, the code command is available globally in your command line. 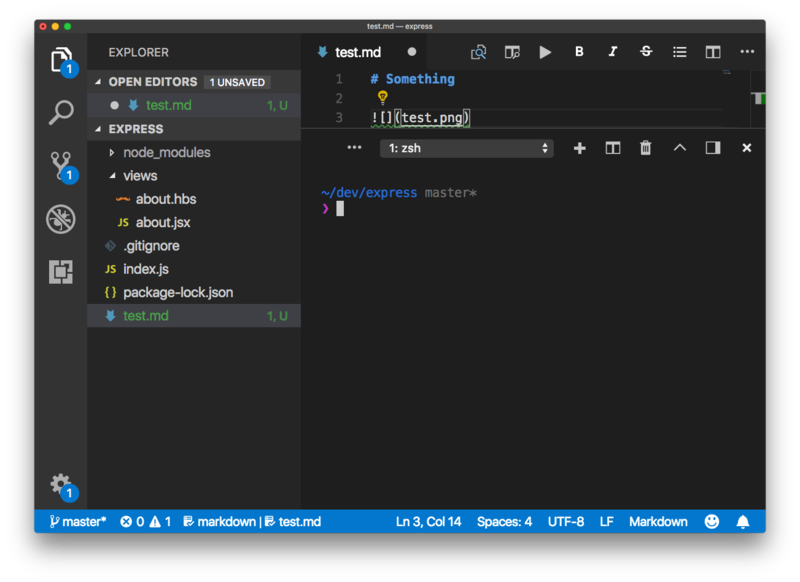 This is very useful to start the editor and open a new window with the content of the current folder, with code ..
code -n will create a new window. A useful thing that’s not always knows is that VS Code can quickly show the diff between two files, with code --diff file1.js file2.js.